T1_FIELD_STRING ("version", version, T1_FIELD_DICT_FONTDICT) T1_FIELD_STRING("Notice"
T1_FIELD_DICT_FONTDICT T1_FIELD_STRING ("FullName", full_name, T1_FIELD_DICT_FONTDICT) T1_FIELD_STRING("FamilyName"
T1_FIELD_DICT_FONTDICT T1_FIELD_DICT_FONTDICT T1_FIELD_STRING ("Weight", weight, T1_FIELD_DICT_FONTDICT) T1_FIELD_NUM("ItalicAngle"
T1_FIELD_DICT_FONTDICT T1_FIELD_DICT_FONTDICT T1_FIELD_DICT_FONTDICT T1_FIELD_BOOL ("isFixedPitch", is_fixed_pitch, T1_FIELD_DICT_FONTDICT) T1_FIELD_NUM("UnderlinePosition"
T1_FIELD_DICT_FONTDICT T1_FIELD_DICT_FONTDICT T1_FIELD_DICT_FONTDICT T1_FIELD_DICT_FONTDICT T1_FIELD_NUM ("UnderlineThickness", underline_thickness, T1_FIELD_DICT_FONTDICT) T1_FIELD_NUM("FSType"
T1_FIELD_NUM ("UniqueID", unique_id, T1_FIELD_DICT_FONTDICT|T1_FIELD_DICT_PRIVATE) T1_FIELD_NUM("lenIV"
T1_FIELD_DICT_PRIVATE T1_FIELD_NUM ("LanguageGroup", language_group, T1_FIELD_DICT_PRIVATE) T1_FIELD_NUM("password"
T1_FIELD_DICT_PRIVATE T1_FIELD_DICT_PRIVATE T1_FIELD_FIXED_1000 ("BlueScale", blue_scale, T1_FIELD_DICT_PRIVATE) T1_FIELD_NUM("BlueShift"
T1_FIELD_DICT_PRIVATE T1_FIELD_DICT_PRIVATE T1_FIELD_DICT_PRIVATE T1_FIELD_NUM ("BlueFuzz", blue_fuzz, T1_FIELD_DICT_PRIVATE) T1_FIELD_NUM_TABLE("BlueValues"
T1_FIELD_DICT_PRIVATE T1_FIELD_DICT_PRIVATE T1_FIELD_DICT_PRIVATE T1_FIELD_DICT_PRIVATE T1_FIELD_NUM_TABLE ("OtherBlues", other_blues, 10, T1_FIELD_DICT_PRIVATE) T1_FIELD_NUM_TABLE("FamilyBlues"
T1_FIELD_DICT_PRIVATE T1_FIELD_DICT_PRIVATE T1_FIELD_DICT_PRIVATE T1_FIELD_DICT_PRIVATE T1_FIELD_DICT_PRIVATE T1_FIELD_NUM_TABLE ("FamilyOtherBlues", family_other_blues, 10, T1_FIELD_DICT_PRIVATE) T1_FIELD_NUM_TABLE2("StdHW"
T1_FIELD_DICT_PRIVATE T1_FIELD_DICT_PRIVATE T1_FIELD_DICT_PRIVATE T1_FIELD_DICT_PRIVATE T1_FIELD_DICT_PRIVATE T1_FIELD_DICT_PRIVATE T1_FIELD_NUM_TABLE2 ("StdVW", standard_height, 1, T1_FIELD_DICT_PRIVATE) T1_FIELD_NUM_TABLE2("MinFeature"
T1_FIELD_DICT_PRIVATE T1_FIELD_DICT_PRIVATE T1_FIELD_DICT_PRIVATE T1_FIELD_DICT_PRIVATE T1_FIELD_DICT_PRIVATE T1_FIELD_DICT_PRIVATE T1_FIELD_DICT_PRIVATE T1_FIELD_NUM_TABLE ("StemSnapH", snap_widths, 12, T1_FIELD_DICT_PRIVATE) T1_FIELD_NUM_TABLE("StemSnapV"
T1_FIELD_DICT_PRIVATE T1_FIELD_DICT_PRIVATE T1_FIELD_DICT_PRIVATE T1_FIELD_DICT_PRIVATE T1_FIELD_DICT_PRIVATE T1_FIELD_DICT_PRIVATE T1_FIELD_DICT_PRIVATE T1_FIELD_DICT_PRIVATE T1_FIELD_FIXED ("ExpansionFactor", expansion_factor, T1_FIELD_DICT_PRIVATE) T1_FIELD_BOOL("ForceBold"
Definition at line 132 of file t1tokens.h. Definition at line 134 of file t1tokens.h. Definition at line 69 of file t1tokens.h. Definition at line 74 of file t1tokens.h. Definition at line 78 of file t1tokens.h. Definition at line 30 of file t1tokens.h. Referenced by cff_face_init(), remove_style(), and test_long_name(). Definition at line 97 of file t1tokens.h. Definition at line 50 of file t1tokens.h. Definition at line 36 of file t1tokens.h. Definition at line 60 of file t1tokens.h. Definition at line 87 of file t1tokens.h. Definition at line 26 of file t1tokens.h. Referenced by CRYPT_AsnDecodePolicyQualifierUserNotice(), CRYPT_AsnDecodePolicyQualifierUserNoticeInternal(), CRYPT_AsnEncodePolicyQualifierUserNotice(), CRYPT_FormatUserNotice(), test_decodePolicyQualifierUserNotice(), and test_encodePolicyQualifierUserNotice(). 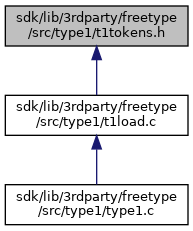 Definition at line 64 of file t1tokens.h. Referenced by _CZipAskPassword(), canonicalize_password(), CredPackAuthenticationBufferW(), CredUnPackAuthenticationBufferW(), do_authorization(), export_password_dlg_proc(), fill_url_components(), find_existing_credential(), HTMLXMLHttpRequest_open(), HTTP_DoAuthorization(), InternetCrackUrl_test(), InternetCreateUrlA_test(), iso_connect(), main(), MAPILogon(), MAPILogonEx(), mcs_connect_start(), ntlm_AcquireCredentialsHandleW(), ntlm_InitializeSecurityContextW(), POP3Transport_CommandPASS(), process_redirect_pdu(), rdp2vnc_connect(), rdp_connect(), rdp_reconnect(), rdp_send_logon_info(), read_password(), rpcrt4_http_internet_connect(), sec_connect(), SECUR32_CreateNTLM1SessionKey(), set_credentials(), set_request_credentials(), SspiPromptForCredentialsW(), SystemFunction006(), test_create_delete_svc(), test_CredUIPromptForCredentials(), test_espassword(), test_HlinkCreateExtensionServices(), test_IWinHttpRequest(), test_proxy_direct(), test_queryconfig2(), test_sequence(), test_SspiEncodeStringsAsAuthIdentity(), unzOpenCurrentFile3(), unzOpenCurrentFilePassword(), UserLoginThread(), winhttp_request_SetCredentials(), WinHttpSetCredentials(), WININET_PasswordDialog(), WININET_ProxyPasswordDialog(), WININET_SetAuthorization(), WNetUseConnectionA(), WNetUseConnectionW(), zipOpenNewFileInZip3(), zipOpenNewFileInZip3_64(), zipOpenNewFileInZip4(), and zipOpenNewFileInZip4_64(). Definition at line 92 of file t1tokens.h. Definition at line 83 of file t1tokens.h. Definition at line 40 of file t1tokens.h.